A bridal shop in Portishead, England is earning praise for its commitment to inclusivity, thanks to its window display featuring a mannequin modeling a bridal gown while sitting in a wheelchair. Beth Wilson, who is disabled, spotted the display at the bridal boutique The White Collection and took to Twitter to commend the shop for taking a step toward normalizing disabilities. “The new wedding shop in town has a wheelchair using mannequin and it shouldn’t be exciting but it’s the first time I’ve ever seen disability portrayed in a shop window,” she wrote alongside a photo of the display. People took notice, and her tweet has now been retweeted more than 7,000 times since Jan. 9. People from all over chimed in to express their appreciation for the inclusive display, including disabled women sharing their experiences and photos of their own wedding days. The boutique is both surprised and delighted by the attention their display has received. 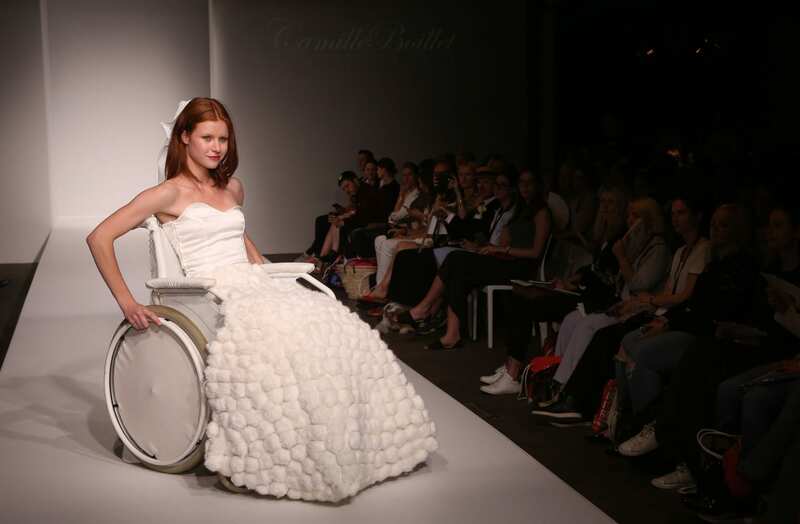 They hope that inclusivity will become more commonplace in the bridal and fashion industries.